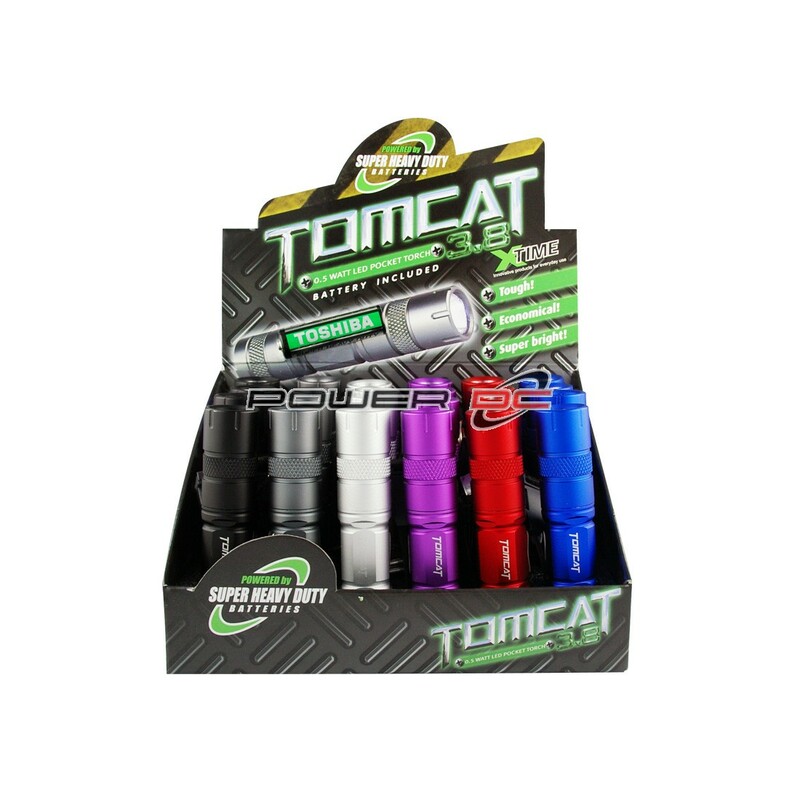 TOMCAT 3.8 1/2W LED Pocket Torch Perfect for camping fishing or any task that requires a little light on the subject. The .5 WATT LED Torch provides you with excellent viewing distance and the TOSHIBA Super Heavy Duty battery (supplied) provide outstanding life span. FEATURES: + Ultra durable metal build torch. + Powerful 0.5W super bright LED. + LED life 100000hrs. + Powered by 1 x AA battery (included). + Includes a wrist strap. + Torch measures 3.8inch.